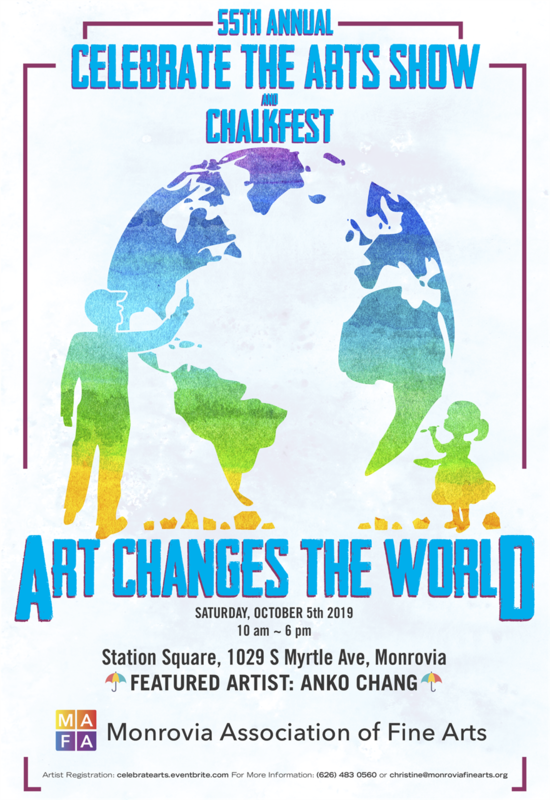 This 55th Celebrate the Arts Show & ChalkFest will feature our third chalk festival in Monrovia with cash prizes, over 40 booths of local fine artists demonstrating and displaying their work, art by Mt. Sierra College students, and kids art and teen urban art activities. This year's show is slated for Saturday, October 5 with the theme, “Art Changes the World." It will feature quality live entertainment on the Station Square Park stage and popular food trucks and restaurants. Most vital of all, we are already marketing and advertising the event all over Southern California and beyond. Your custom ad: Email a photo of you and your art to christine@monroviafinearts.org and we'll create a show ad featuring your website URL or other contact info that we’ll often run in our social media—and that you can use, too. Register NOW for the 55th Annual Celebrate the Arts Show before the spaces are sold out. 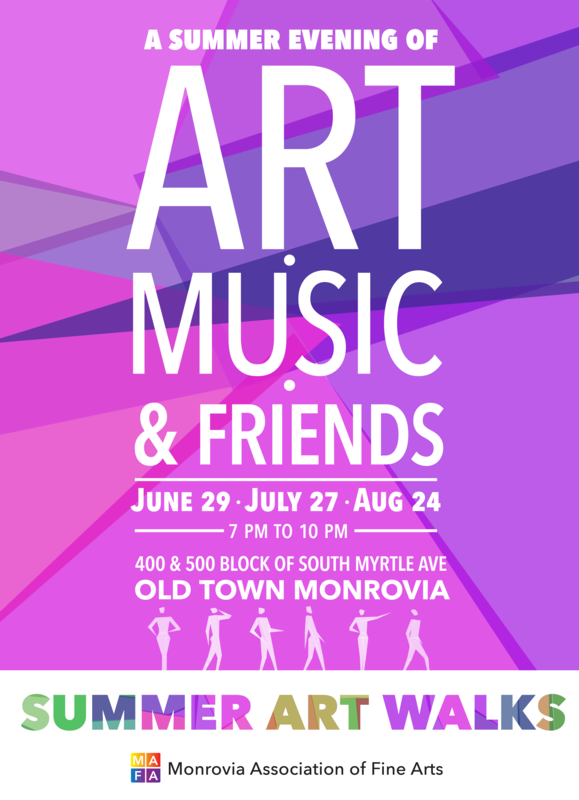 Just go to monroviafinearts.org/events to sign up. We'll send you an Artist Packet with complete application form and details when you register and pay your fees at the link above. NOTE: This is a juried show: First-time participants will need to have their work juried by the MAFA Jury Committee by submitting three email images of their work to Frank Zgonc at frazgo@msn.com.